Rev your engines! You might notice a familiar name for two races during the 2018 Monster Energy NASCAR Cup Series season, because TradingView will be sponsoring cars No. 51 and No. 52. The first race will be held on Saturday, August 18, at the Bristol Motor Speedway for the Bass Pro Shops NRA Night Race. The green flag is scheduled for 7:43 p.m. ET with television coverage starting at 6 p.m. on NBCSN. Reed Sorenson will drive No. 51, the 2018 Chevrolet Camaro. Sorenson has been driving since he was six years old and began his career as a full-time driver in 2003. The second race takes place on Sunday, September 2, at the Darlington Raceway for the Bojangles’ Southern 500. Driver intros start at 5:20 p.m. ET on NBCS. Used by more than 7 million people around the world and more than 200 percent growth over the past three years, TradingView has all kinds of people who are active on its platform. We’re excited to fly the TradingView colors at a sporting event with more than 18 million fans worldwide. We’ve never been ones to think inside the box, so while other social and investing platforms might not be sponsoring NASCARs, following suit isn’t what we do best. Our global growth and innovation has been a result of our inclusivity. 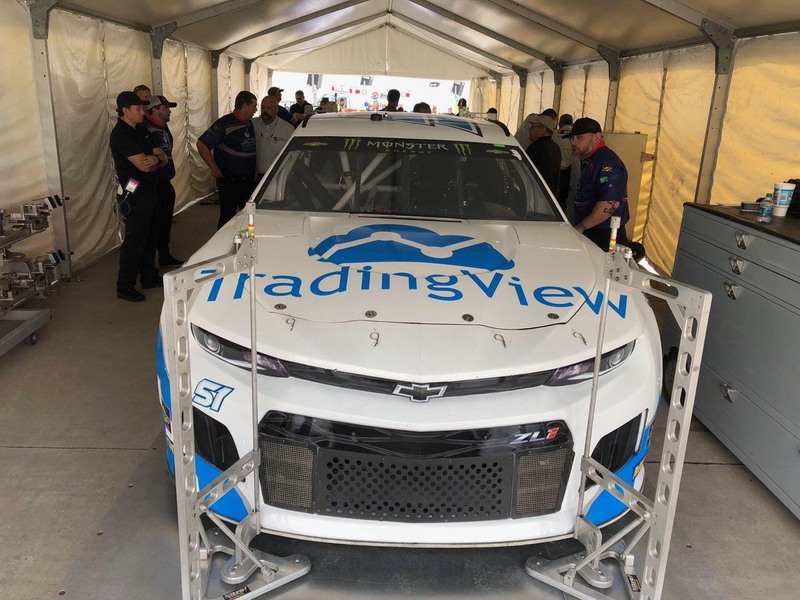 Whether you’re new to the stock market or an expert trader, a NASCAR fan or not, TradingView was built to serve all.